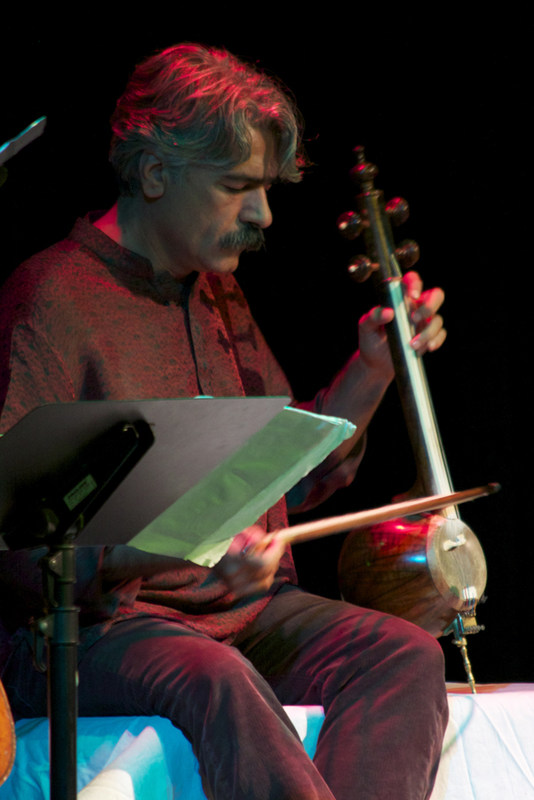 When: Monday, Aug. 20, 2012 • Where: Cedar Cultural Center, Minneapolis • Who: Brooklyn Rider with Kayhan Kalhor. 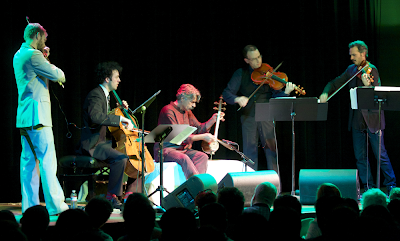 Brooklyn Rider is Johnny Gandelsman, violin; Colin Jacobsen, violin; Nicholas Chords, viola; Eric Jacobsen, cello. Kayhan is an Iranian composer and kamancheh (Persian stick fiddle) player. What: The program included "Atashgah," "Beloved, do not let me be discouraged," and "Three Persian Miniatures" (Jacobsen), "Culai" (Lev "Ljova" Zhurbin, a commission for Brooklyn Rider), and "Silent City" (Kalhor).